NBA 2k19 has been a significant financial and gaming hit. The game has provided some of the best basketball experience over the years. 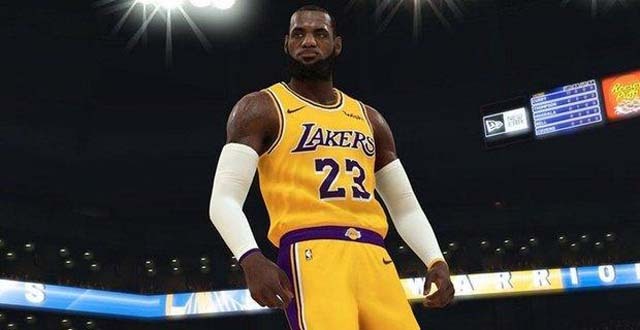 Although there's still a long time to go before NBA 2K20 to be officially released, fans are already excited about the newest editions for 2019. compared to previous NBA 2K editions, it seems that 2K are set to make massive improvements to their upcoming release, NBA 2K20. To keep in informed, we Joymmo.com will be committed to keeping track of all of the latest pre-release news and info leading up to NBA 2K20's release. Here's everything we've already know. Although the game developer has announced a FIFA 20 release date but, we cab still get clues from release dates of previous editions. As you look back, you will find that except that the first 2k game, the NBA 2K15 game was released in the month of November,the last 4 versions - NBA 2K16, NBA 2K17, NBA 2K18 and NBA 2K19 - were all released in September. So, it's sure to be the same this time around, with NBA 2K20 set to hit stores in late September. Again, nothing has been confirmed but, rumors suggest there could be a few interesting features introduced, including the WNBA. Though 2K Games hasn’t made anything official, Renee Montgomery and A'ja Wilson shared news on their personal social media accounts about upcoming appearances in NBA 2K20, which likely won’t release until next Fall. Leaks like these are good to grab attention and incite some hype around a sport. However, there's an equal amount of uncertainty, too. As for now, no other WNBA player has admitted having any part in the game. Another topic up for discussion is how NBA 2K will use Montgomery and Wilson — whether as career-mode options or something else. As we know that the inclusion of females in The Neighborhood and in the game overall has been something discussed within 2K for years, but as of now, the ladies hadn't been included as playable characters. If the game maker goes that route, NBA 2K will join other video game franchises in having playable female characters for the main story. That's all we currently know about NBA 2K20. And we will still keep the story updates. So, Follow us on Joymmo.com for updates and everything NBA 2K. Also, if you wanna get a good start when your game officially comes out, you can come to Joymmo.com for Cheap NBA 2K20 MT Coins and Cheap NBA 2K20 VC. As a online in-game currency store selling NBA 2K Coins for many years, our items are definitely safe and reliable.